Sift dry ingredients into pie pan. Whip oil and milk together and combine with flour mixture. Pat around pie pan with your fingers. Cut up rhubarb and arrange in shell. Blend dry ingredients, add eggs, and stir into a paste. 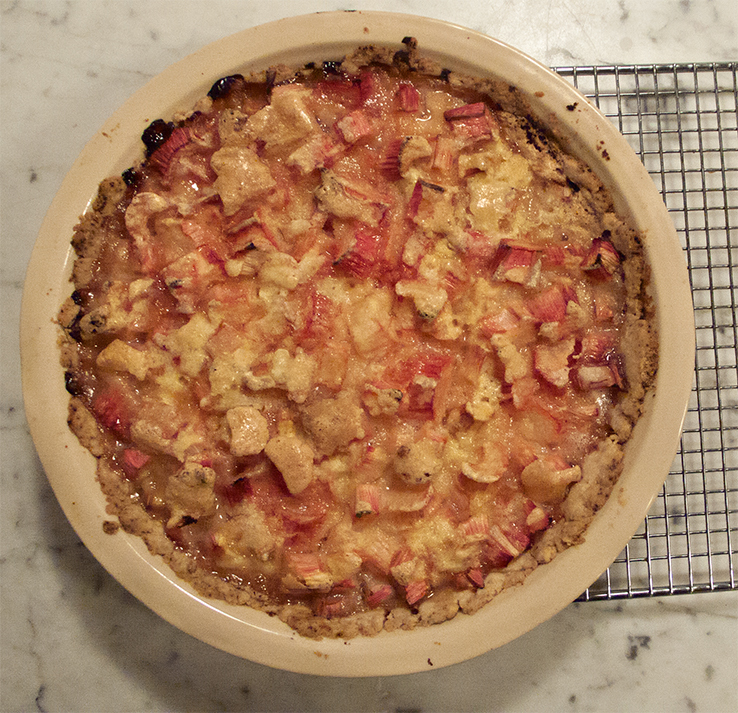 Pour over rhubarb and bake 20 minutes at 450˚, then reduce heat to 350˚ and bake 20 minutes longer or until custard is set. Mini pies and a full size, full stem version. Gorgeous!